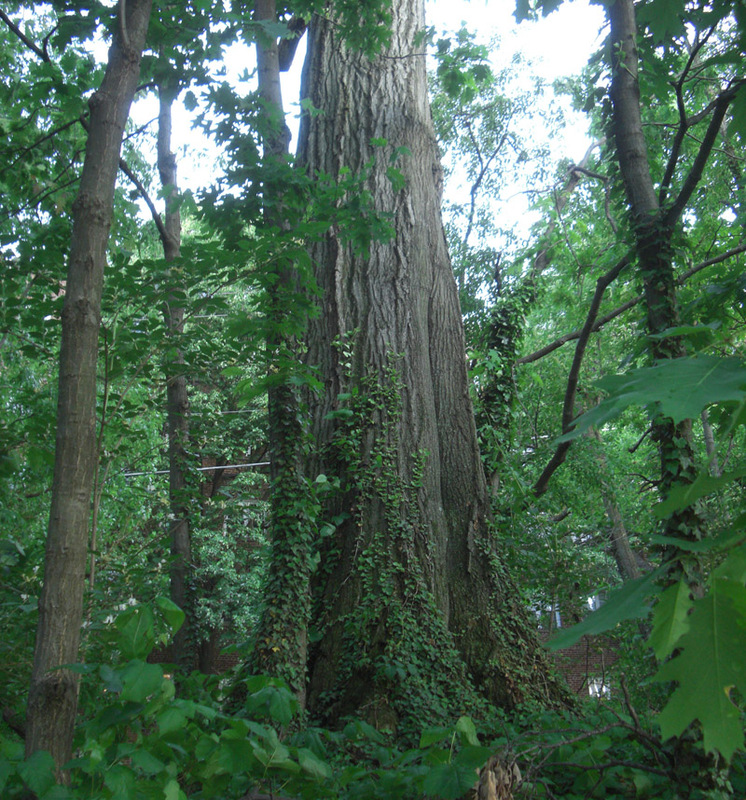 At the Potomac Regional Park Heritage Festival this past Sunday, Master Naturalists had an exhibit on English Ivy's menace to other plants in the ecosystem. English Ivy crowds out other plants, doesn't feed birds and insects, and kills trees. To combat this menace, Portland, Oregon has formed a No Ivy League and commissioned ivy-killing commandos. 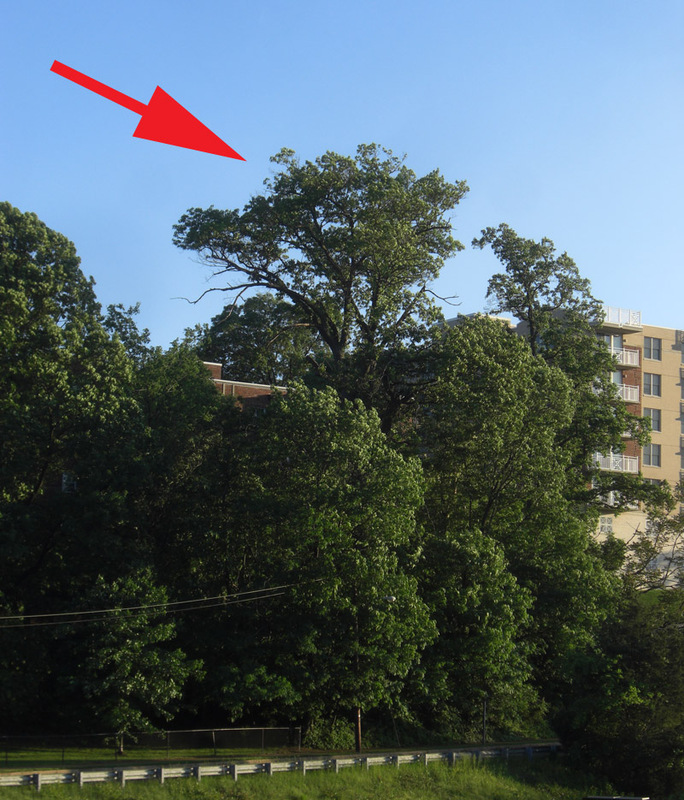 Here in Arlington, we have a Remove Invasive Plants (RiP) program. We also have Invasives Man, who apparently patrols parks and woods and fights dominating invaders. Check out his instructions on how to remove English Ivy and admire his work ethic. In Rosslyn's rural hinterlands, English Ivy presents a serious threat. English Ivy is expanding behind 1301 Ft. Myer Dr. and has established isolated root-holds on the Westmoreland Terrace property. 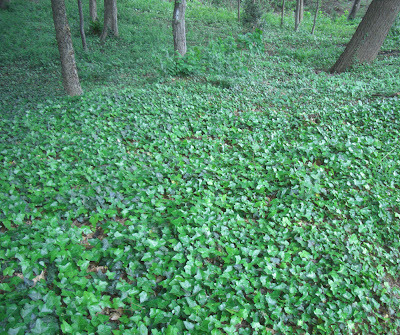 English Ivy carpets sections of the renovated Hillside Park and is prevalent in the wilderness area along Arlington Blvd. just west of Ft. Myer Heights Park. In the later area a magnificent old tree is under attack. Defenders beware, knowledgeable sources report that this area contains much poison oak. At the very least, don't admire Ivy-covered buildings. 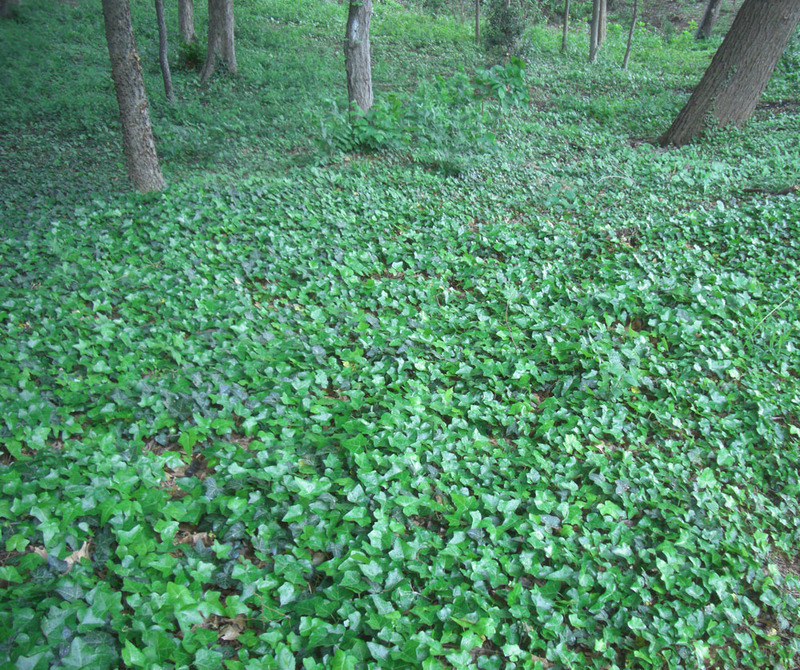 If you're looking for some ground cover, check out the Arlington Library's information on alternatives to English Ivy and Alternatives Demo Garden.